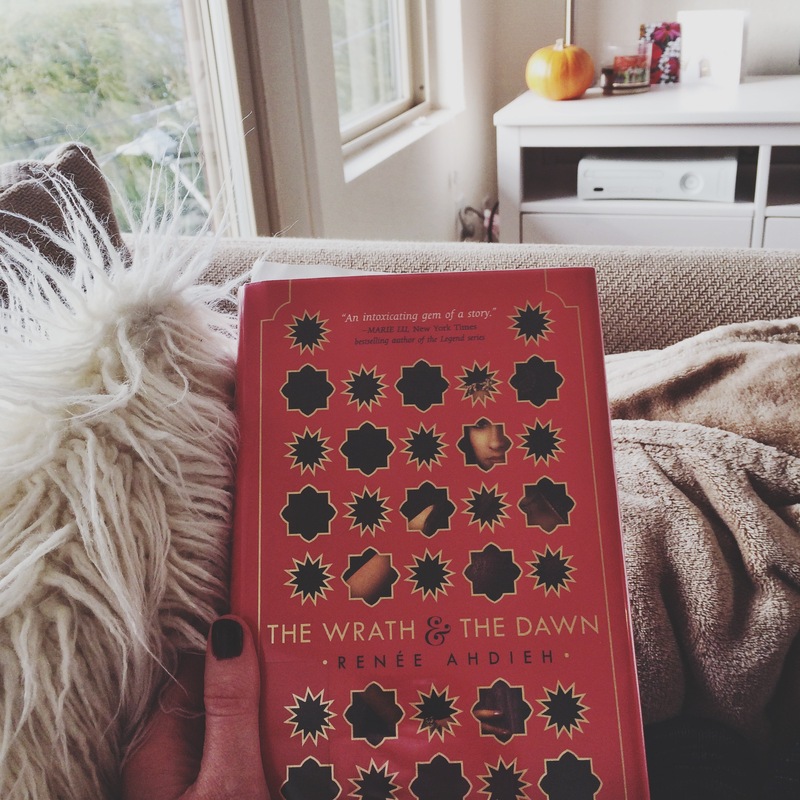 I wasn’t sure about The Wrath and the Dawn at first. Do you ever read a book and get so sucked into the smoothly constructed writing that you forget you’re reading? This story wasn’t one of those for me. BUT, and that’s a big but, I really enjoyed the book anyway and was completely enthralled by the ongoing relationship between Shahrzad and the boy king Khalid. A conflicting relationship of hate and passion, honesty and secrets, it’s definitely intriguing. Ahdieh’s debut novel is a good one, and with themes from Arabian Nights and Aladdin, there are elements of fantasy as well. Ahh that’s a good way to do it! Ohhh I really want to read this now! I’m putting it on my list ☺️. I’m so happy you liked this book 🙂 I thought the writing was so gorgeous and swoonworthy and the ending was so frustrating!! I started to hate Tariq lol.. I definitely can’t pronounce the names correctly! I’m hoping to read tWatD this month, glad you liked it! That’s interesting that you didn’t find the story to be wrapped up at the end (or mostly wrapped up). I’ve heard it’s a commonly-shared opinion that the first book in a series should be written as a standalone. So the reader shouldn’t need to read book 2, 3 etc. to understand something that happened in book 1. I’ve heard this book is really descriptive about food, was it like this for you and did you want to try it? Hmm that’s interesting because I definitely felt like the book was left hanging in terms of the characters relationship and the wellbeing of the city as a whole. I thought the descriptions of the food were good, and I would definitely like to try some of the cuisine, but it wasn’t a big focus for me. I hope you enjoy the book! I loved this book! So atmospheric and wonderful. When I was reading it I also thought it was a standalone, but I don’t mind another book in this world! Totally excited for The Rose and the Dagger! Yea I thought it was too so I’m excited to continue with the characters and story line! I LOVE THIS BOOK SO MUCH! Such a pleasant surprise. Not sure HOW I’ll make it until May! I loved it too! I cannot wait to read the next one either! I agree that it was really good (and I didn’t know it was a series either). I can’t wait for “The Rose and the Dagger” in May! I can’t wait either!! The Wrath and the Dawn left off on such a cliffhanger!